The social network had paid the Associated Press and Snopes to combat its misinformation crisis. But both firms confirmed they stopped checking articles at the end of 2018, and will not renew their contracts. Facebook said it was committed to fighting fake news and said it would expand its efforts in 2019. “Fighting misinformation takes a multi-pronged approach from across the industry,” a Facebook spokeswoman told the BBC. “We are committed to fighting this through many tactics, and the work that third-party fact-checkers do is a valued and important piece of this effort. Snopes said it needed to “determine with certainty that our efforts to aid any particular platform are a net positive for our online community, publication and staff”. 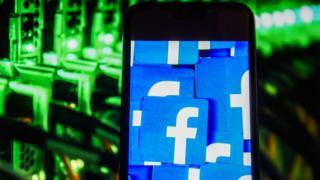 The site’s founder David Mikkelson, and head of operations Vinny Green, said in a blog post that the firm did not rule out working with Facebook in future. “We hope to keep an open dialogue going with Facebook to discuss approaches to combating misinformation that are beneficial to platforms, fact-checking organisations and the user community alike,” the company said. The blog post acknowledged that choosing not to renew its work with Facebook would have financial repercussions for the company. In 2017, Facebook paid Snopes $100,000 (£76,500) for its work. Snopes has not yet released its financial disclosures for 2018. “Forgoing an economic opportunity is not a decision that we or any other journalistic enterprise can take lightly in the current publishing landscape,” the company said. Late last year, the Guardian published a report that suggested fact-checking firms were frustrated by Facebook’s lack of transparency. In a blog post, Facebook disputed the Guardian’s report, saying it had “several inaccuracies”. Speaking about the news Snopes and the AP had pulled out, Ms Binkowski said she felt Facebook was too controlling over the fact-checking companies. “Facebook can’t handle any kind of pushback, any kind of public criticism,” she told the BBC, adding that she felt the fact-checking programme at Facebook had been “mishandled”. Facebook has worked with two other fact-checking agencies in the US. One, Politifact, told the BBC it intended to continue working with Facebook in 2019. The other, Factcheck,org, did not respond to requests for comment at the time of publication.